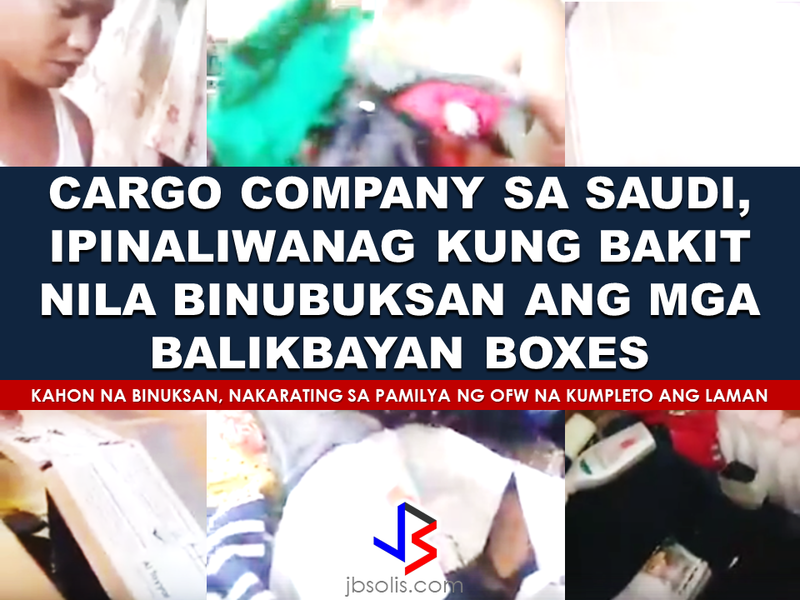 A representative of cargo company based in Saudi Arabia's video draws flak among the netizens for opening balikbayan boxes without asking permission from the owner of the boxes. In the video, after scanning the boxes, they found suspicious items in the first box which turned to be battery packs and a pressurized flammable canister when they opened the box. When they scanned the second box, they found an excessive amount of liquid that prompted them to open the box and found lotions of commercial quantity which is not allowed but they said they will just let it pass since there are no flammable items found. They just need to seal the bottles one by one. 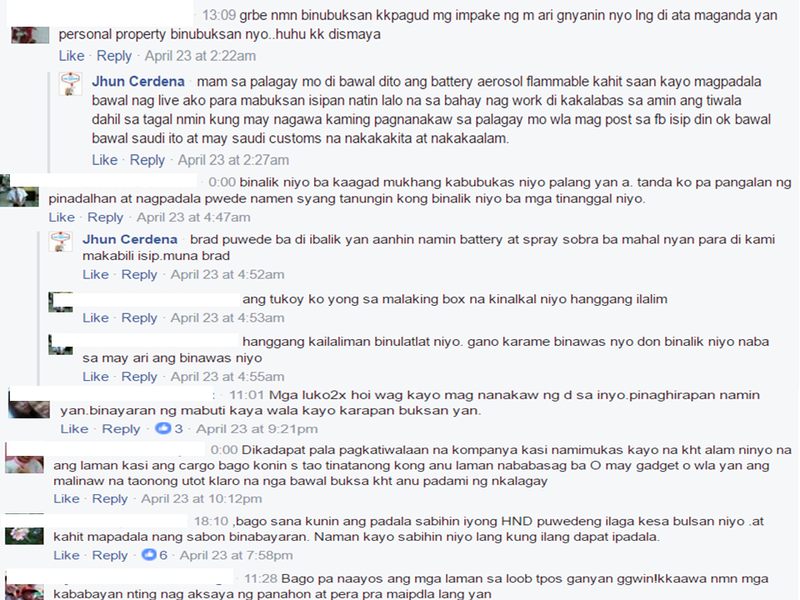 Different reactions from comments including negative ones flooded the thread with almost 16,000 in total and counting. The video uploader Jhun Cerdena said they made the video for transparency and to explain which items should not be included when sending packages via air cargo. Batteries, especially lithium ion, and aerosol pressurized spray could explode when extreme pressure is applied and could cause catastrophic damage to the plane endangering the lives and properties of the passengers. He also stated that Saudi customs officer are watching them and if they will not follow the protocol, they will be the ones to be fined. President Duterte has warned customs officials not to open the balikbayan boxes. 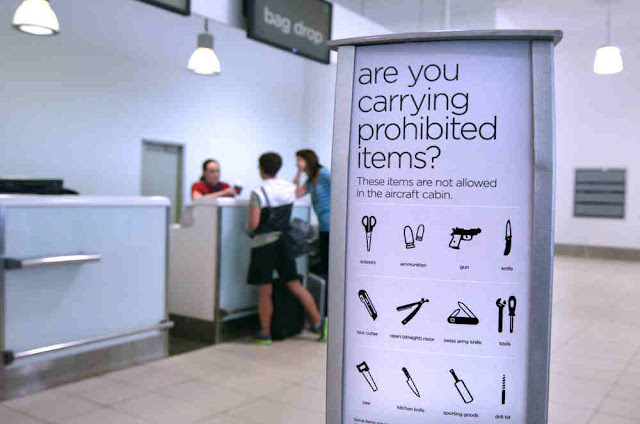 With strict scrutiny of foreign customs officers especially in the Middle East, particularly in Saudi Arabia like what we have seen in the video above, there will be no chances that it could contain contrabands like drugs and firearms, therefore, opening the boxes on its arrival to the Philippines will be downright unnecessary. Meanwhile, the balikbayan box which we had seen being opened at the video has reached its destination in the Philippines intact with all the contents inside without damage and no items were being pilfered or lost. The family of the OFW checked it on the spot in the presence of cargo representative who claims to be Jhun Cerdena's wife. Saying that harsh comments on her husband have no basis and they are just doing their jobs as directed by the Saudi Arabian authorities.